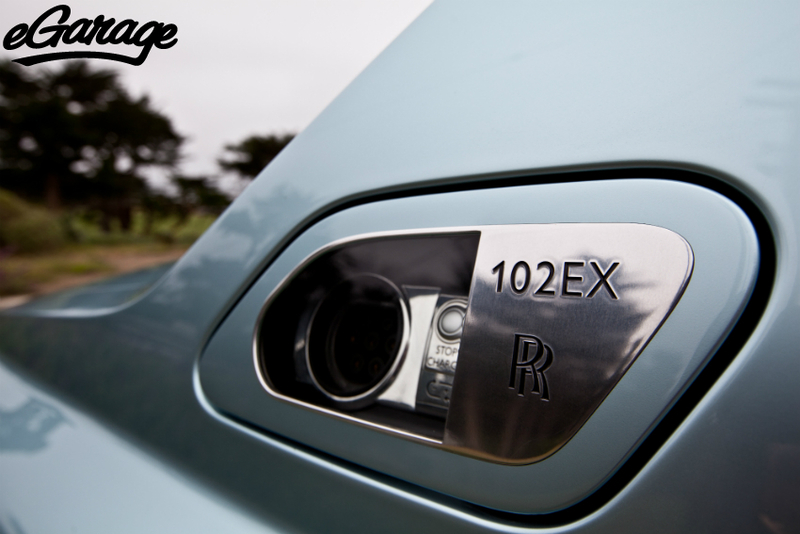 With the Monterey mist in full effect, the eGarage team headed out to the famous 17 Mile Drive to cash in on the invitation from Los Gatos Luxury Cars (LGLC) to check out the range of offerings from the master Automotive craftsmen from Goodwood. 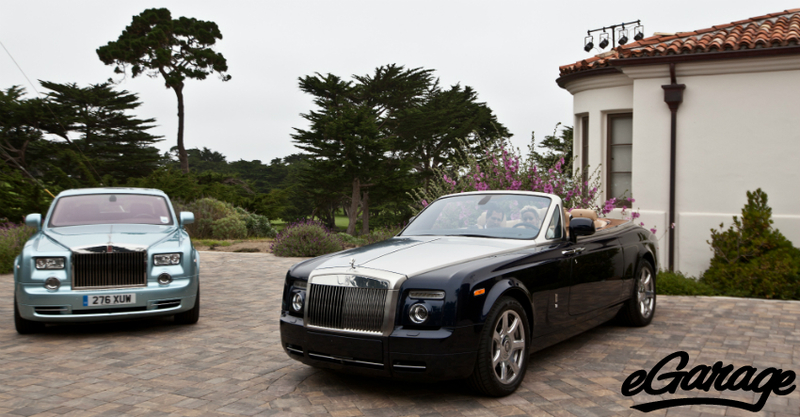 17 Mile Drive and Rolls Royce, luxury defined. We were especially excited to see the new extended wheelbase Ghost and the 102EX. 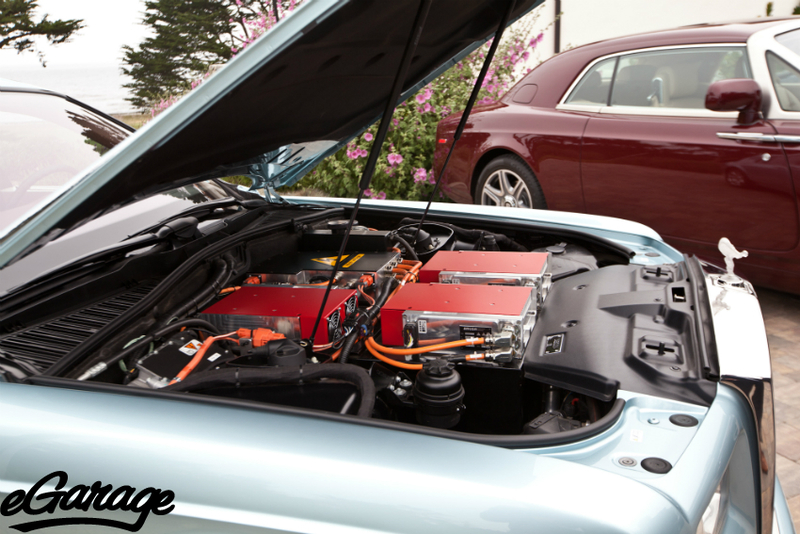 Monterey week is the first time that the 102EX is on US soil; the all electric version of the Phantom is the latest production standard of “green” flamboyance and luxury. Having had seat time in the big saloon I couldn’t imagine how the quieter e-version must drive/ride. But the thought of removing my shoes and socks and running my toes through the mink hair carpet left me most anxious to arrive. The good news: The Villa at which we were welcomed was gorgeous. 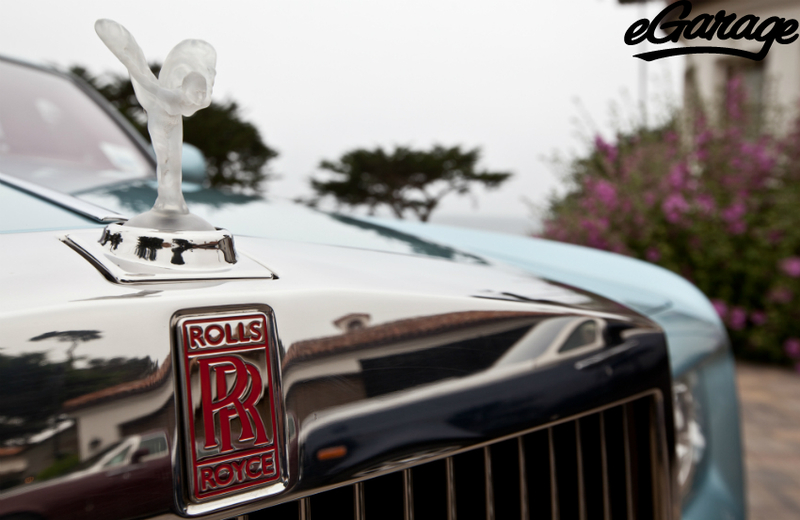 Overlooking a fairway at Pebble Beach Golf Course, the gorgeously undulating 17 Mile Drive, and the rocky coastline of the northern California coast, we had a perfectly matched venue to experience the “benchmarks of the luxury car market”. The food and drink that await us was akin to a tasting menu at a 5 star restaurant. The people from RR and LGLC were warm and inviting. 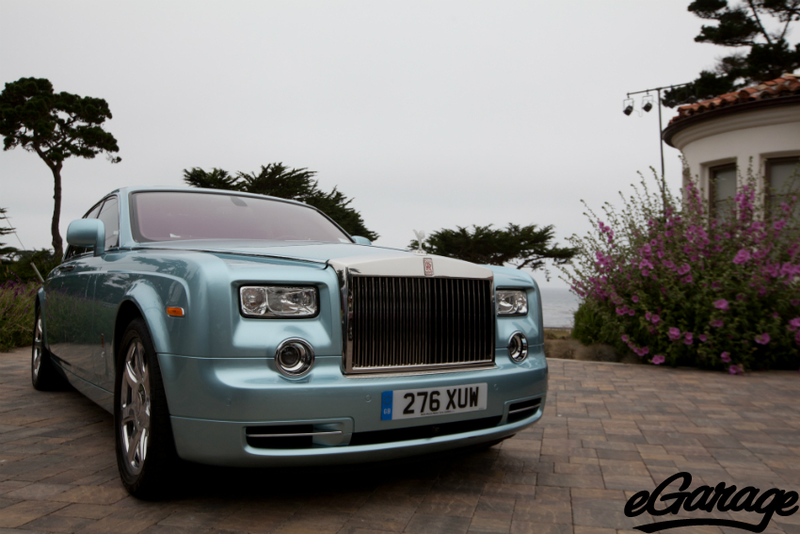 The Phantom 102EX, an aluminum space frame packed full of ninety-six lithium-ion pouch cells that feed two electric motors delivering a power output of 290kW and a 0-60 time of under eight seconds, was parked outside the Villa glistening in its spectacular Atlantic Chrome paint. 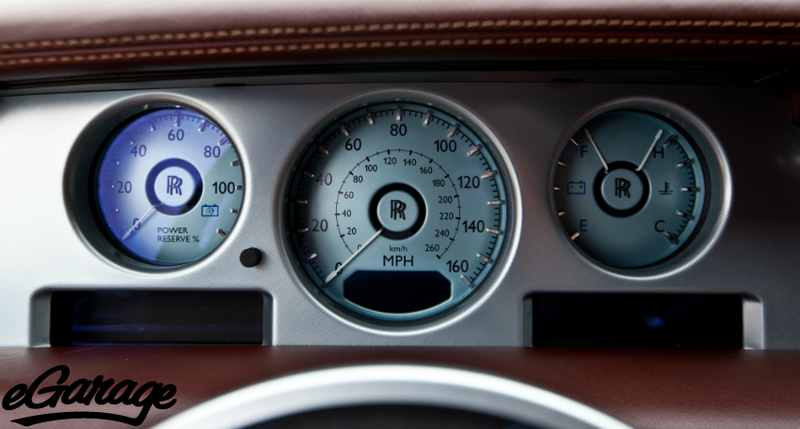 For the engineers at RR, extensive research revealed a highly reflective paint using ceramic nano particles. Under a microscope these mimic the impression of a silver metal, but are between 8,000 and 80,000 times smaller than the thickness of a hair or 1,000 times smaller than the size of a normal metallic paint particle. 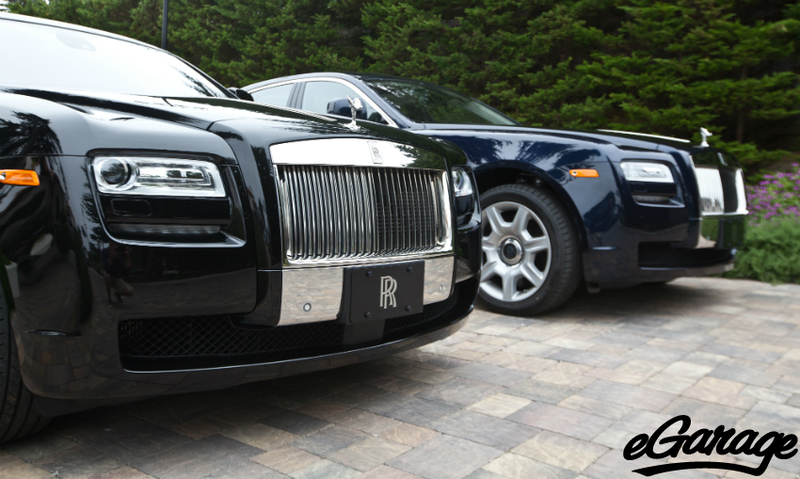 The bad news: Both the 102EX and the extended wheelbase Ghost were unavailable for a test drive. Apparently the Ghost had gotten called off for press duties elsewhere on the same day as our visit and the charging components for the 102EX got held up in a US Customs snafu. Too bad, we look forward to the next opportunity with these two cars. 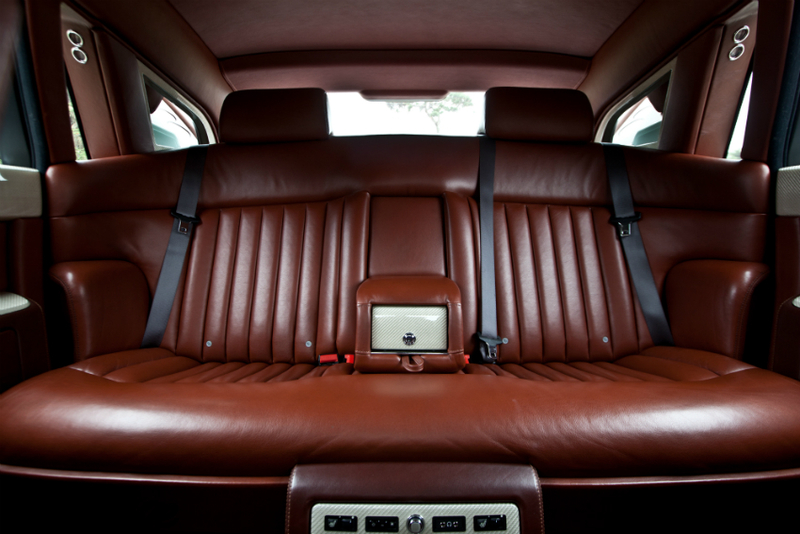 We ended up taking turns cruising up and down the coast in a “normal” Phantom Coupé, exchanging pleasantries and foie gras recipes. The cars, whether it be the daddy Phantom line or the baby Ghost line, are fantastic pieces of kit. As a 2×2 Coupe guy, I only wish the rear window came down; although I was assured that RR could make anything happen for me through their “bespoke” program. Custom dog bed in the back, functional rear passenger glass, and an “eG” logo out of the “starlight” headliner…sold.